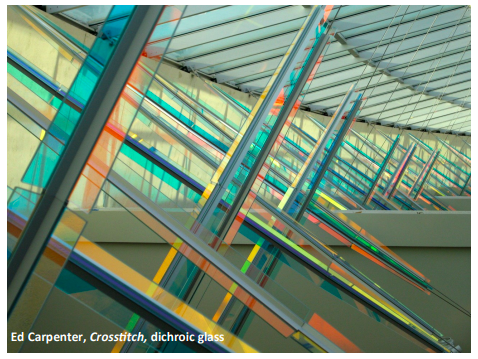 Did you know that your local airport could be your next art opportunity? Much like hospitals, airports have been transforming from stressful, utilitarian hubs into more welcoming and relaxing spaces with curated works of art. Aviation facilities use art to enhance their visitors’ experience and create memorable environments. Thus, airports can be a great place for you to showcase your artwork and land commissions. Here are a few reasons to consider your local airport as your next exhibition venue. You have a captivated audience in an airport. In contrast to museums, airports are open pretty much all day and night, and receive much more foot traffic. According to the Bureau of Transportation Statistics a total of 771 million passengers boarded domestic flights in the United States in 2018. This averages to 2.21 million passengers flying per day. That’s a lot of eyeballs on artworks! Be a part of a self-guided art tour. Delayed flights and cautious travelers lead to extended stays inside the airport. To cure cases of boredom, some airports engage their visitors with self-guided art tours. Salt Lake City International Airport uses signage and QR codes to guide visitors to seven exhibits that showcase the works of local artists and their significance to Salt Lake CIty’s arts community. 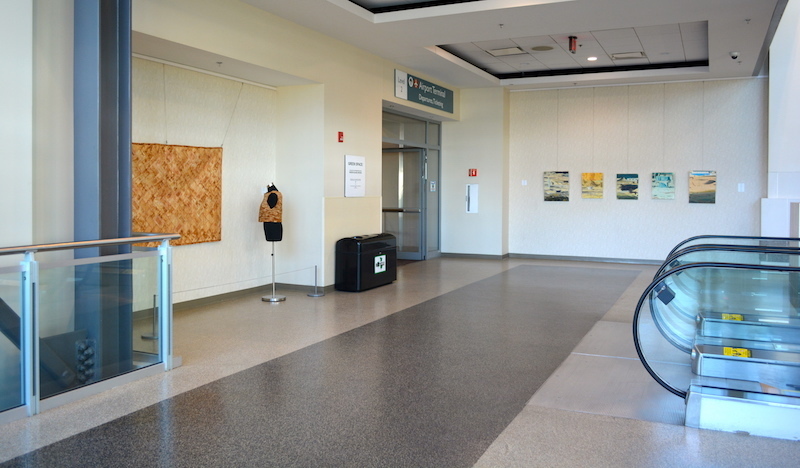 Phoenix's airport even has an art tour in its Rental Care Center (RCC)! 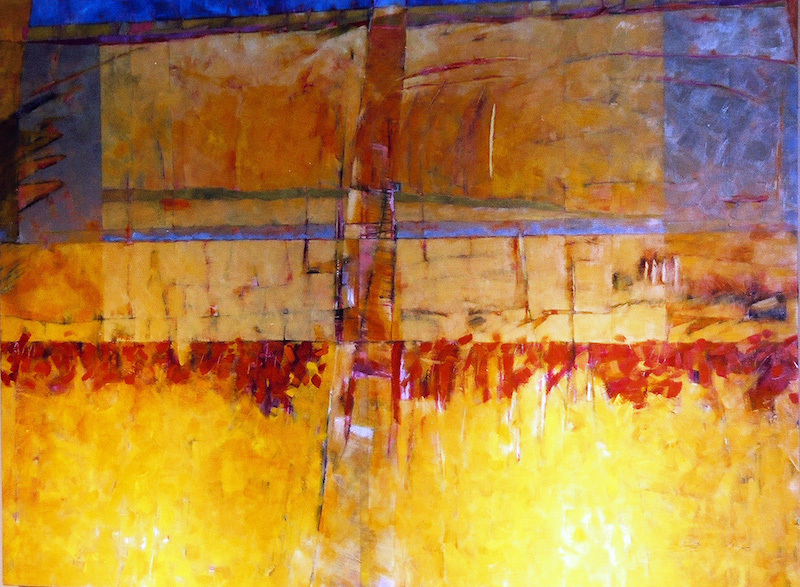 It showcases 72 pieces of art from the Phoenix Sky Harbor International Airport Public Art Collection. Airports commission public art projects. When airports are expanded, a percentage of the cost is typically devoted to permanent installations of art. Airports commission a variety of different types of public art projects–from small 2D works to massive facade sculptural works. There may be an opportunity for you! You can search for public art RFQs on Artwork Archive’s Call-for-Entry page. Airports have their own museums. Did you know that some airports have their own museums? The SFO Museum (SFOM) became the first museum in an airport to receive accreditation from the American Alliance of Museums in 1999. Today, SFOM features more than twenty galleries throughout the Airport terminals. Airport collections can be a way to engage with museum professionals. 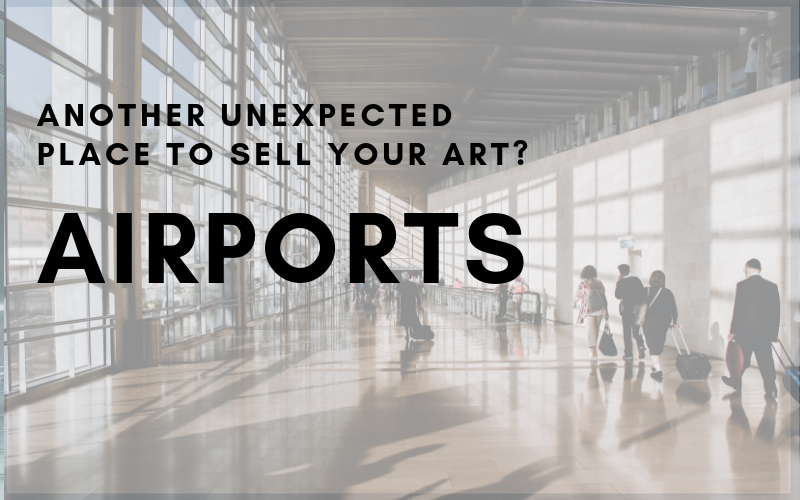 Many airports partner with their local art museums to either purchase works for the collection or even manage the collection itself. For instance, in 1980 the San Francisco Airport Commission collaborated with the Fine Arts Museum of San Francisco to create an exhibition program at the San Francisco International Airport. In Indianapolis and Oakland, Calif., port authorities take bids from local institutions, which use their own staffs to manage changing art shows. Looking for a new conference this year? The American Association of Airport Executive (AAAE) organizes an annual Arts in the Airports workshop to gather arts professionals and bolster their art programs in aviation facilities. Beth Arritt, AAAE’s VP of Marketing, recommends that artists attend the Arts in Airports workshop for two reasons. First, for the networking opportunities with arts administrators from around the country. Second, you can hear firsthand the challenges faced and solutions within displaying art in airports so you will be ahead of the competition when it comes to RFQs and RFPs. Airports focus on local art. If you think about it, airports are marketing platforms—places to showcase what the area has to offer. Arts and culture are a huge part of local economies and communities, so it makes sense that airports would promote their unique artistic and cultural heritage. Participate in a temporary rotating art exhibit. It’s worth asking your local airport if they have rotating exhibitions in their public spaces. Many programs do. In Rhode Island, both Block Island and TF Green Airport feature temporary rotating exhibitions. The selection process for these exhibits is a public art process. A Call for Proposals (limited to Rhode Island residents) is issued yearly, whereby artists apply to exhibit in the space. A panel is convened to select the artists. Then the arts coordinators works with the selected artists to craft an exhibition that best showcases the artists’ work and also fits logistically into the space and meets the public art guidelines. How to get your foot in the (airport) door. Want to exhibit at your local airport? Put your best foot forward and present yourself professionally with Artwork Archive’s Portfolio Pages. With 14 years in the art industry, Plus Gallery owner Ivar Zeile has a wealth of wisdom for emerging artists. Here are 8 key tips to approach gallery representation the right way. Cory Huff (of The Abundant Artist) shares advice on how to effectively market your art online including social media and email tips.